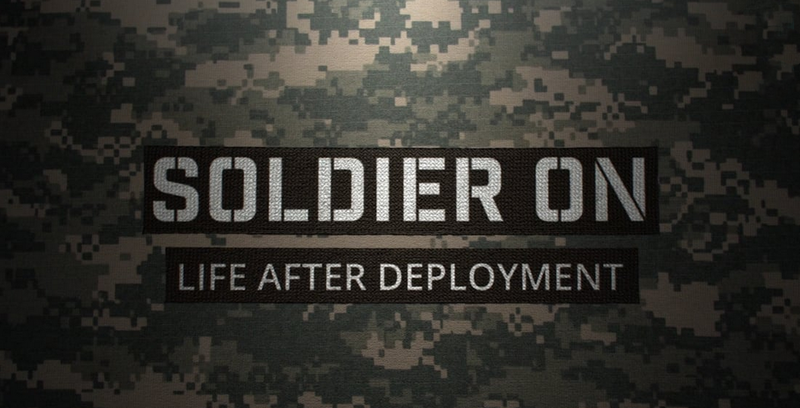 SOLDIER ON: Life After Deployment follows three women as they confront the challenges of readjusting to civilian life after their post-9/11 military service. Rhode Island PBS airs the film on Monday, November 12 at 10 p.m. The women in SOLDIER ON are forthright about their many problems, while simultaneously managing to find moments of humor amidst their struggles and gradually reconnecting with the inner strength and resilience that has always defined them. Forever changed by their military service, the women adapt to find a new place in the civilian world. One of the three women in this film is Rhode Island resident Amanda Tejada. Amanda agreed to also be interviewed by Rhode Island PBS for the grant-funded project Veterans Coming Home. Amanda and four other Rhode Island women veterans appear in the documentary Rhode Island Women Warriors Coming Home: Finding What Works, airing over Veterans Day weekend.